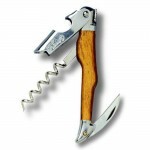 Cepage Laguiole Waiters Corkscrew Olive Wood (P/N 3310). 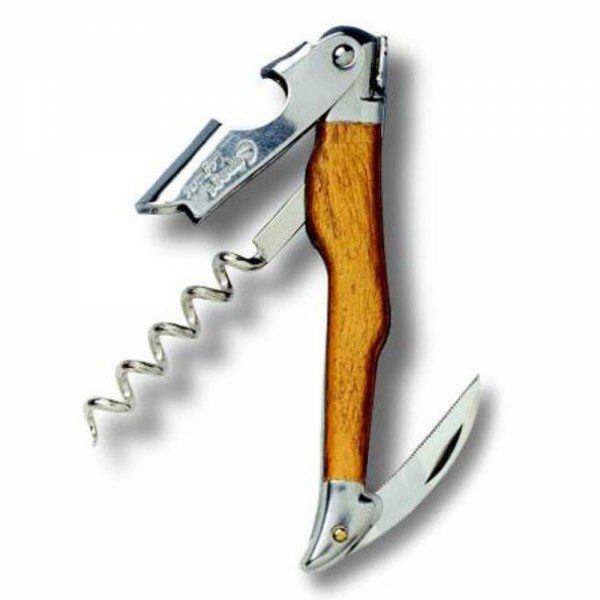 Made in France, our Cepage Laguiole corkscrew is ergonomically designed and highly sophisticated. There is no finer waiter's corkscrew than Cepage Laguiole. Cepage Laguiole Waiters Corkscrew features imitation olive wood handle, stainless steel bolsters, 5-turn spiral, micro-serated blade, and a bottle-cap opener.